Safety lanyard to prevent accidental loss. Displays steps taken during walk or jog. 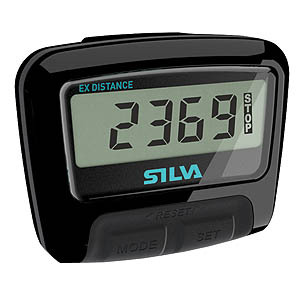 Displays distance in miles or kilometres. The unique built-in filter function prevents unwanted recording of occasional non-related movement during a walk, jog or day at work.